Presented in conjunction with Daniel Gordon’s Shadows and Pears, this Project Space installation featured recent paintings by Brooklyn-based artist Austin Eddy. 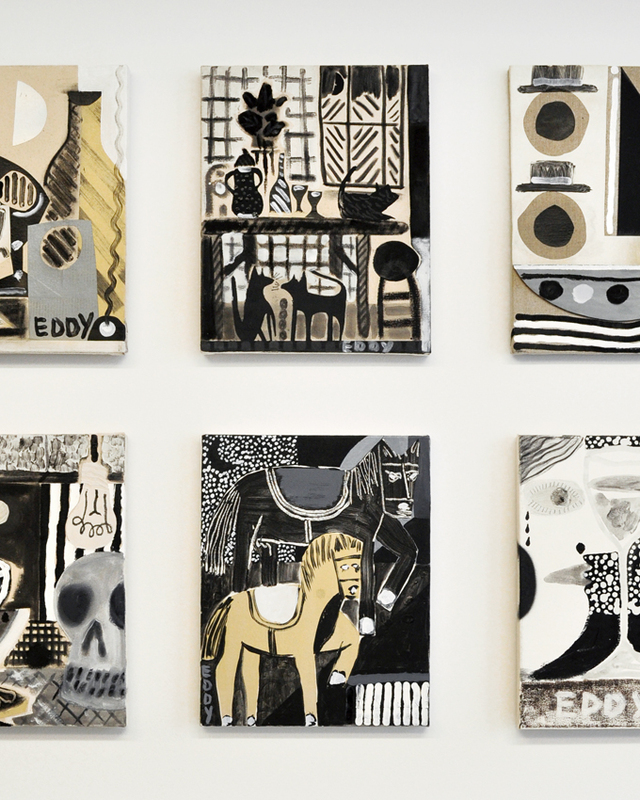 Afterclaps focuses on Eddy’s small format black and white paintings, including several that emphasize the somber mood of the still life genre. 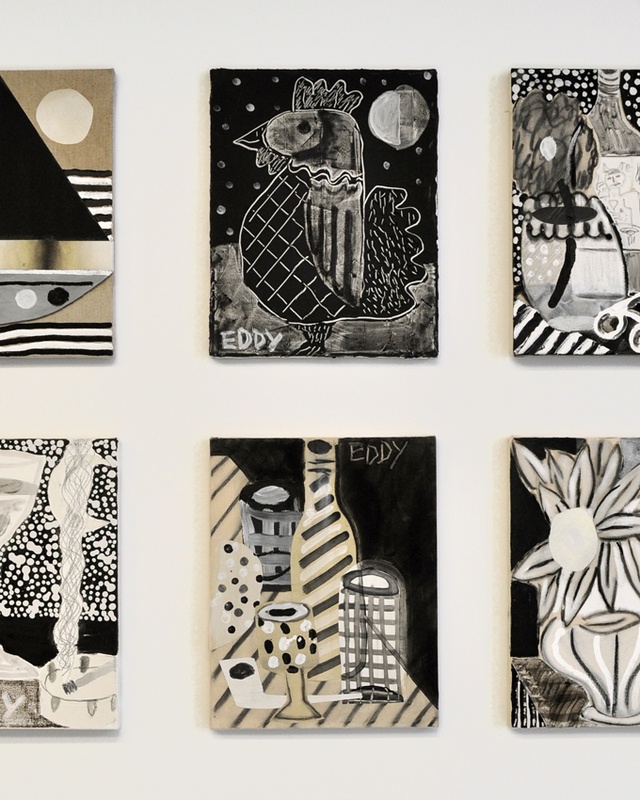 Working quickly and prolifically, Eddy paints and collages directly onto raw canvas with an unusual mix of materials, including caulk, acrylic, newsprint, ink, oil pastel, charcoal, enamel, and spray paint. 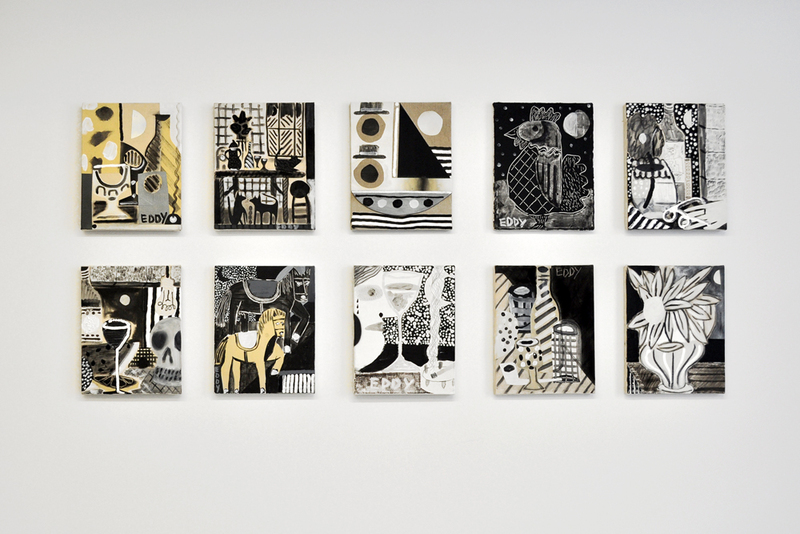 The immediacy of his process lends a strong emotional resonance to these nocturnal images.